Zeppelins. 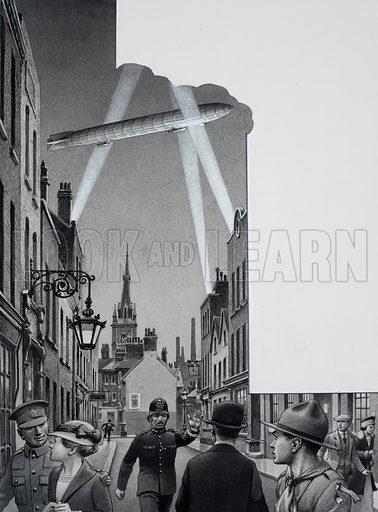 Bomb-dropping zeppelins, flying over the capital in the First World War, introduced Londoners to the horror of all-out-war. Original artwork for illustration on p19 of Look and Learn issue no 770 (16 October 1976).